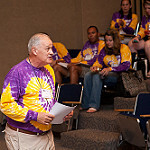 The PACAC Summer Institute held at Bucknell University is an interactive, intensive 2 1/2 day workshop for new admission counselors and secondary school counseling professionals (all experience levels). The Institute provides participants with a full and complete understanding of the increasingly complex college admissions process through a dynamic learning experience. 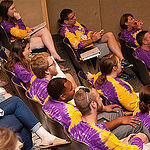 The Summer Institute is the longest, continuous, summer professional development opportunity for new admission counselors and secondary school counselors in the nation! Price includes housing, meals, and program materials. "Staff and attendees were diverse in their experiences and passionate about their work." "I love my job even more than I did 3 days ago!" "I feel more prepared for a career in admissions."